With a Walk Score of 99, this 1 BR/1 BA condo at the Langston Lofts is sure to impress with its open floor plan, bamboo wood floors, private balcony and 11′ ceilings, all in a convenient and bustling location just steps to U Street Corridor. The Most Expensive Home of the Week is a 4 BR/3.5 BA detached Federal-style home in the West End featuring multiple fireplaces, built-ins and even an elevator could all be yours for the low price of a little under $3.5M. Petworth 4 BR end-unit row home with a more traditional floor plan includes a sunroom, rear patio, exposed brick and your very own Red Room. “Tranquil retreat on the Hill with ultra-convenient 2nd level, one bedroom, one bathroom in the boutique South of the Park Condos. 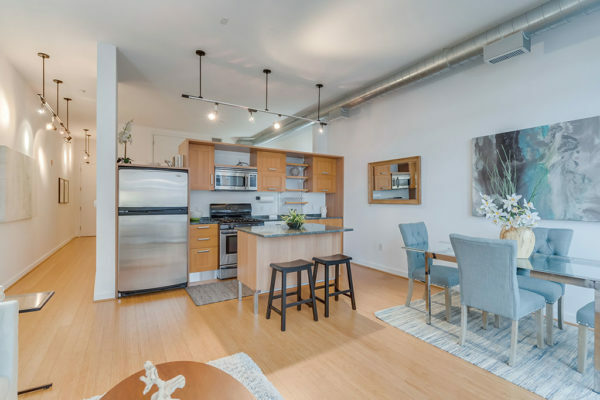 Your REO/Bank-Owned Property of the Week is a 923 square foot Brightwood condo that pretty much allows you to start from scratch because this one will take a lot of work to become livable again.